Scottie Mom and family went out and about this weekend and discovered these great Scottie plaques for the home at Uptown Pups. At just $10 each, only one question remains: which of the three should make it home to The Scottie House? Tell us which you like best. We have the first one hanging in the kitchen (my favorite room) and it is side by side with number 2 but that's with a Westie (for Kenzie and Kaci). I say what are you thinking about? Take all three. I like the first two best. 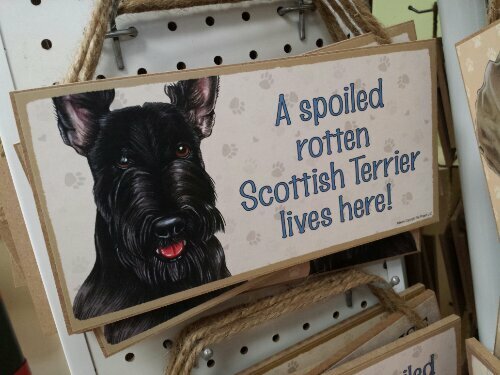 I am owned by a Scottish terrier, so that one is a no brainer. 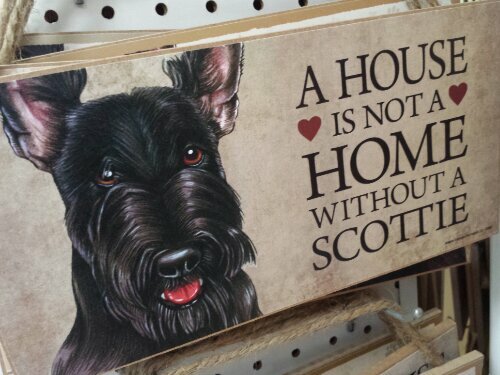 I also think any house with a Scottie IS a home! 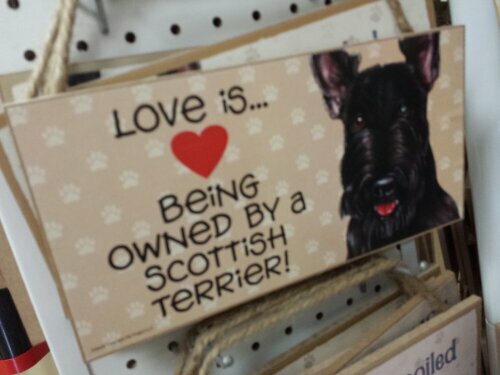 I like "Love is being owned by a Scottish Terrier". Dat's the one dat I'd pick out. My daughter gave me the first one - and I really believe the message. I was without a Scottie to love after my Gus went to the Rainbow Bridge. It was a very lonely, quiet time, not the home filled with love, laughs, and fun with Gus. Recently, I have adopted another Scottie, and McDuff has turned my house back to a home as we make new memories together. We vote to Number 1! Oh dear, can't choose. Take all three! we like the first one best and it's so true! scotties make a house a home for sure! The first one, especially since you just got a new Scottie. I like the first one, but its a hard choice! I have #3 hanging on my front porch.